With the average age of a car on the road, rising, we are seeing more and more cars with hazy and foggy headlights. Today’s cars are made with bulbs that can be replaced, which in turn causes the plastic lenses to discolor unlike the glass sealed-beam units. Discoloration also occurs due to weathe r conditions, such as in areas that have warmer and sunny climates, like Colorado. The Ultraviolet rays can cause the lenses to turn yellow, and some cars are more susceptible to discoloration than others due to factors such as position of lenses, material and size. Here, at All American Window Tinting, Inc., we offer headlight restoration, tail light restoration and fog light restoration services. Restoring light lenses is far less expensive than having the entire headlamp replaced. This issue may seem like a cosmetic issue however it is more of a safety issue. Hazy plastic lenses or surfaces may lead to reduced visibility, putting yourself, passengers, and other drivers at risk. Depending on the severity of discoloration, the effectiveness of your headlights could be reduced by 80%. 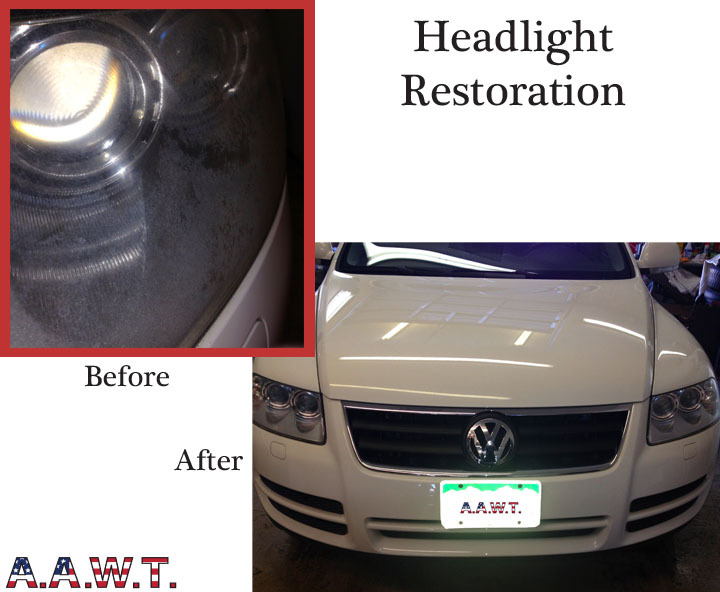 Headlight restoration is not necessarily a permanent fix to discoloration, but it does last reduce and can eliminate discoloration. Call All American Window Tinting, Inc., today at 303-936-1362 for a quote! 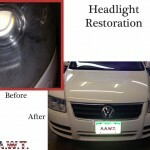 Our professionals will have your car in and out within a few hours but your lights will be noticeably brighter! Copyright © 2019 All American Window Tinting, Inc. All rights reserved.